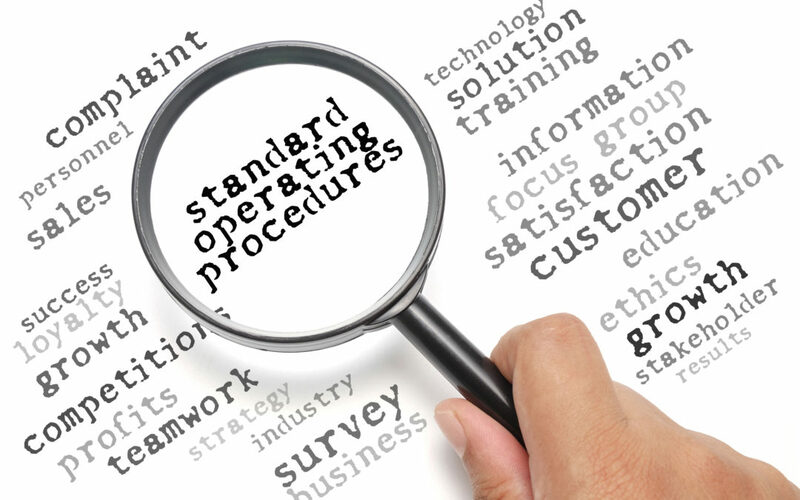 Standard Operating Procedures or SOPs in business management have become an indispensable tool for management of a company or a retail enterprise to smoothly execute its various processes including the retail function. PUNE, India - April 16, 2019 - PRLog -- A retail function comprises of several critical processes and operations. Retail SOPs provide a step-by-step instructional guide to help employees engaged in retail function to execute their routine duties effectively and efficiently. The design of retail sales SOP involves a systematic study and documentation of the various processes, operations and activities involved in a retail function. A systematic approach towards writing retail sales SOPs is covered here. Some of the most common and important processes in a retail function are inventory management, merchandising, staff and vendor management, facilities management, cash and payment management, customer service, store security, and audit. These processes are executed by almost every retail business enterprise in different magnitudes. Without the effective and efficient execution of these integrated processes, a retail function will not yield the desired results – which could be in terms of footfall targets and conversion rate, sales targets, revisits etc. Each process in a retail function comprises of several operations. These operations are carried out by employees with or without the assistance of an ERP application. For example, various operations involved in an inventory process include purchase and reorder of stock, quality inspection, the return of goods, storage and warehousing, transportation, recording inventory transactions, process stock requisition etc. Each operation in a retail process is made up of activities which must follow a logical step-by-step (either-or) sequence or a procedure to move towards conclusive outcomes. This flow of work shall depend on the control measures a retail enterprise wants to impose at every stage. For example, the decision to purchase fresh stock may be authorized only by a designated authority (say purchase manager) and such authorization request is sent only when the stock reaches the reorder level. When authorization is granted, the executive can proceed with placing the purchase order. There is no hard and fast rule for selection of SOP format. The ideal solution is customization. As highlighted above, a flowchart format is a good way to present the pilot view of the full cycle of flow of work. This pilot chart can be accompanied by a procedural form. For example, in executing a purchase decision, when the stock reaches or falls below the reorder level, a purchase procedure form can be put in place. This form shall comprise of all the necessary details and conditions to be fulfilled (reorder level, purchase quantity, a name of supplier, authorization etc) before the purchase order can be executed. Different operational activities or procedures are executed by different employees depending on the size and structure of an organization. In retail SOP design, it is important to identify and associate the people involved in each procedure. This helps in assigning responsibilities, authority and accountability to the concerned employees. It also helps in providing retail SOP training and communicating policy and resultant SOP changes to the target employees. Once the SOPs are designed or modified, the next necessary step is communicating the changes in the SOPs or providing relevant training to employees, as the case may be. SOP training is also important in a case of new appointments, transfers and promotions. The primary responsibility for SOP training usually rests with the HR, training cell and the concerned functional head. Whenever there are changes in policies, there could be effective changes in procedures as well which should be communicated to the concerned departments and employees. Writing retail SOPs require professional and domain knowledge and expertise. If casually designed and implemented, it will not serve its purpose and could end up with duplication of work, procedural bypassing, high carrying costs and low inventory turnover and most importantly, it will create an unprofessional work culture and environment. Meet the Experts who are "Organizing" the "Unorganized Retail" in India !!! How far has the "E-commerce Grievances?" Process Come Along?